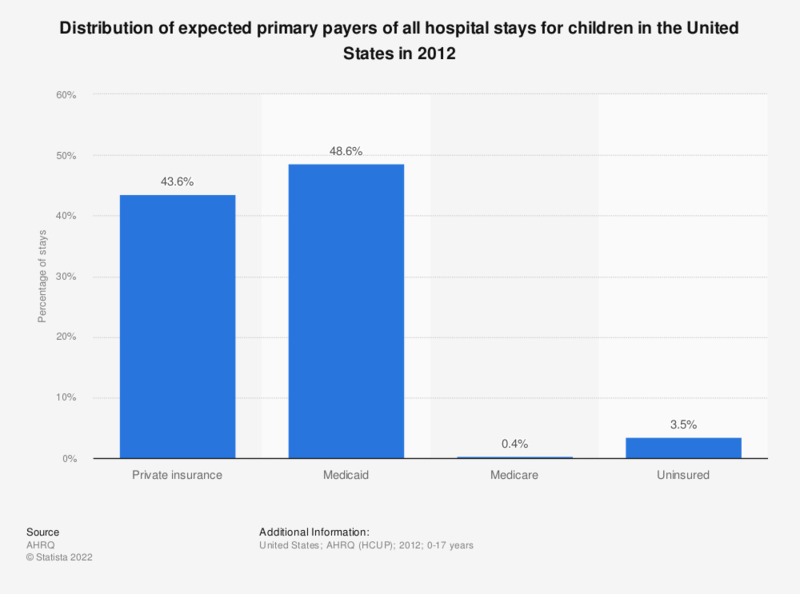 This statistic displays the distribution of expected primary payers for all hospital stays among U.S. children, aged 0 to 17 years, in 2012. During this year, 48.6 percent of hospitalizations among children were expected to be paid through Medicaid. Hospitalizations among children seem to have become more common among children with chronic conditions. Majority of hospitalizations among children were infants and newborns.